Check out these scorebooks and listen to some CDs! Our selection is limited, but quite awesome. Masahiro Nitta and Hiroshi Nitta (his father) have released their first scorebook using their signature Tsugaru Shamisen style, Nitta Ryu. 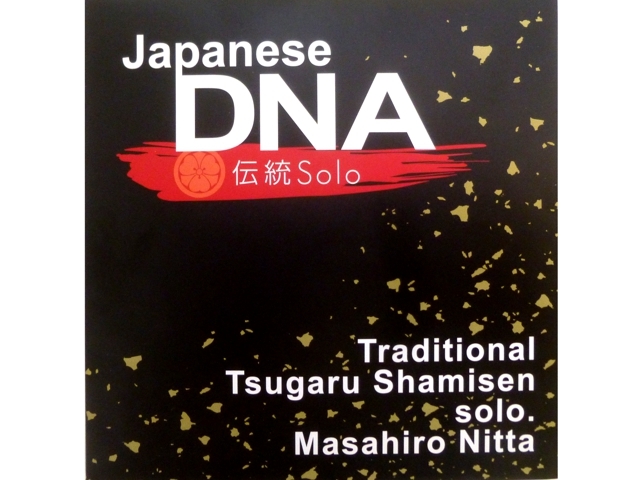 This book includes traditional Tsugaru pieces as well as their original duets! This book includes the following pieces from the Oyama School for Tsugaru Shamisen. All of the songs included are in ‘Niagari’ tuning. Please note that the Scorebook is in Japanese. This book includes the following pieces from the Oyama School for Tsugaru Shamisen. All of the songs included are in ‘Hon Choushi’ tuning. This book includes the following pieces from the Oyama School for Tsugaru Shamisen. All of the songs included are in ‘San Sagari’ tuning. 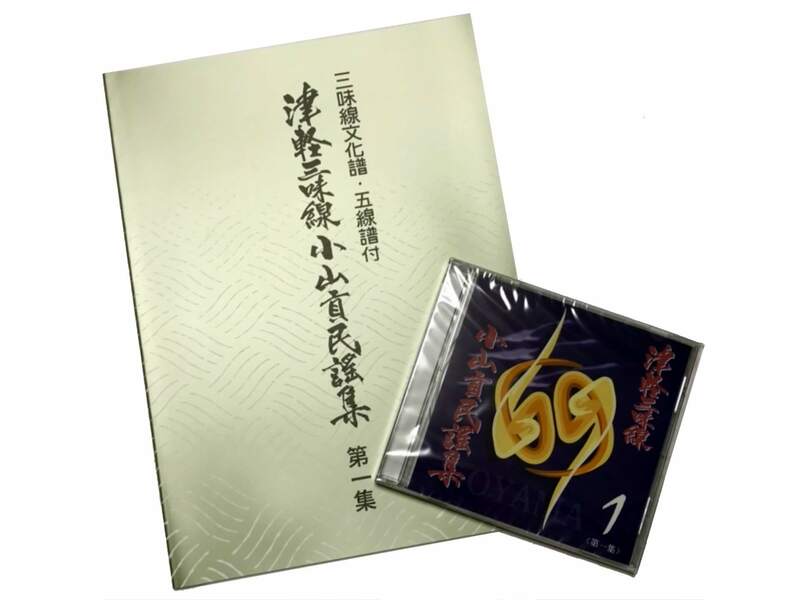 This set includes the three Oyama Ryu Scorebooks (listed above), and an audio CD featuring recordings of all the pieces in the three scorebooks! These are Oyama Ryu scorebooks/CDs for minyo (folk) songs, arranged for Tsugaru Shamisen. There are 13 volumes, but each volume is sold separately. Please select the volume you wish to purchase in the drop down box. Note that all volumes are written in Japanese. This set includes the Book and CD for each volume of the “Oyama Ryu – Minyo Collection”. The book includes bunkafu scores for the pieces listed below. The CDs include the same pieces as in the books, in order to help the learner study and hear the authentic melody for the pieces. Please view below to order the book and CD separately. This are the same Oyama Ryu scorebooks as the Set above, but sold separately from the CD. Like the set, there are 13 volumes, but each volume is sold separately. Please select the volume you wish to purchase in the drop down box. Note that all volumes are written in Japanese. This are the same Oyama Ryu CDs as the Set above, but sold separately from the book. Like the set, there are 13 volumes, but each volume is sold separately. Please select the volume you wish to purchase in the drop down box. Note that all volumes are in Japanese. I have made my 11th album – returning to my roots, I expressed both the tradition and evolution of the shamisen in my solos. As for traditional minyo, most pieces are very long, so I made shorter arrangements (2~3 minute songs) to make unfamiliar pieces enjoyable. Incorporating the traditional melody line with the original Nitta style, these pieces are made fresh, but still give a nostalgic feeling. I want to ensure that the charm of these traditional pieces and the tone of the tsugaru shamisen lives on in this age and continues to the next generation. ~ Nitta Masahiro. Recently retitled as “Three String Samurai,” this entertaining film features Masahiro & Hiroshi Nitta, Shinichi Kinoshita, and a double-neck shamisen! In all honesty, it’s a little cheezy but still a fun story. If you are interested in shamisen, it’s a must-see. Then again, any film featuring shamisen is a must-see, in my opinion! Click here to read a review and watch a trailer of Overdrive.